Mom used oil or occasionally, a couple strips of bacon. We weren’t lowed to search for it. However, if a bit happened to come out naturally with a handful of popcorn, well now! What a treat! Bacon and popcorn sounds like an interesting combination! I have never had that. What an interesting technique! I have never heard of that. Thanks for sharing. 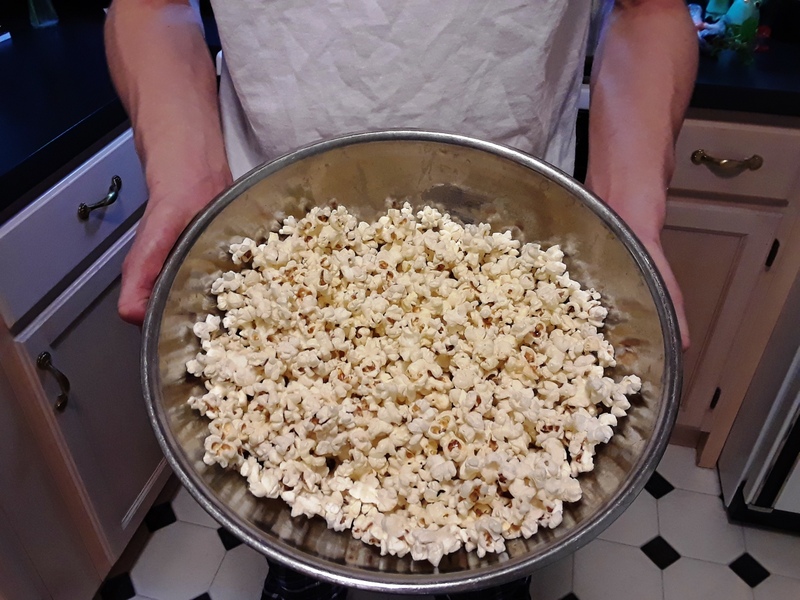 That is funny, ” a whole generation of children born in the 1970s who learned to make popcorn on the stove with mom are alive and well today.” I love it! My dad loved popcorn, since he was in the restaurant business he bought it in bulk and we had popcorn every night. But, I am not sure how my mom made it. I learned to do a lot of cooking as a boy, but popcorn was not an accomplishment for me. Yeah, I’m a bit of a realist when it comes to educating children. Build them up, make them tough, and let them get dirty because they won’t die and they scrub up quite well. I love your tradition of popcorn every night. I’ll bet you looked forward to that. Thanks for sharing the memory, Mark. I think we have that little book put out Charles Schulz, I even got to meet him once when I was a young adult. He was a generous man.